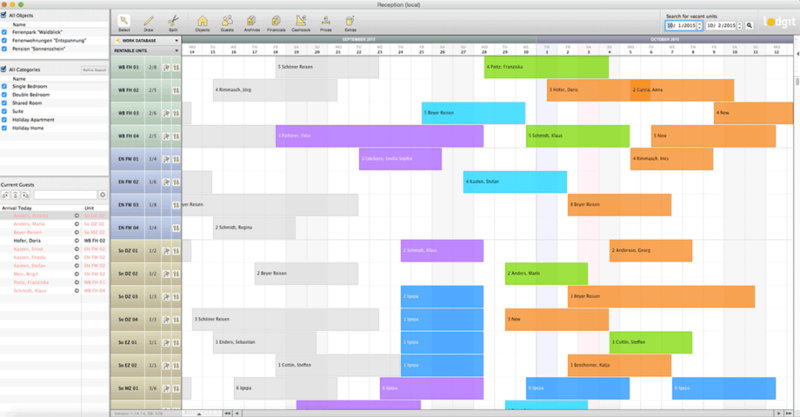 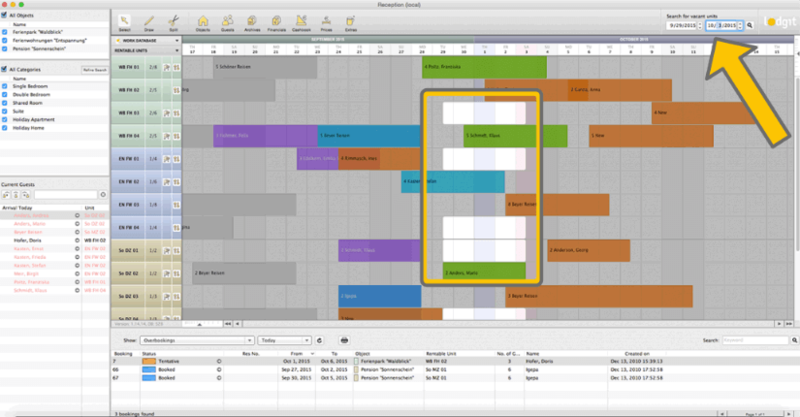 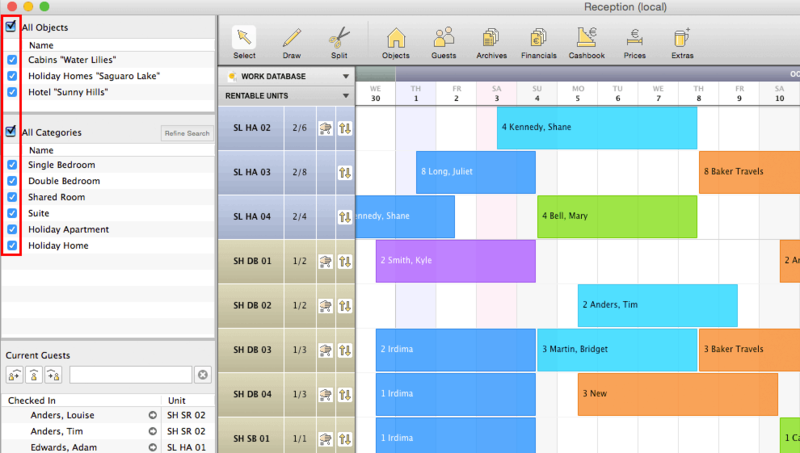 The intelligent graphical reservation schedule is the centerpiece of Lodgit Desk. 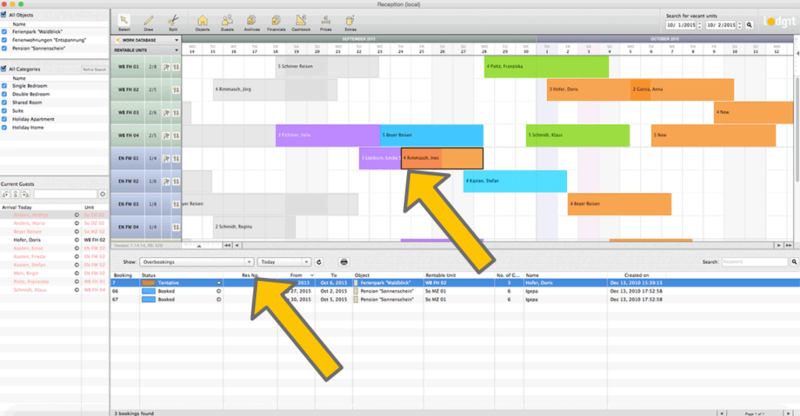 Not only does it offer you an overview but also gives you direct access to all of of your bookings across all your objects - be it a hotel, a guesthouse, multiple holiday homes, boarding houses or other accommodations of all kinds. 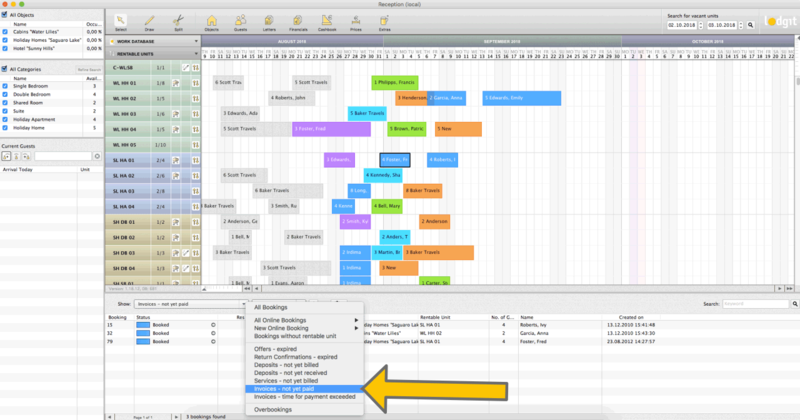 There also is a search function which you can use to quickly find all bookings of a certain guest, with a certain note or the like.